Given the fast pace at which modern technological advancements are revolutionizing today’s insurance industry, it won’t be wrong to say that claims processing and management companies are experiencing a multitude of problems to stay neoteric. In this situation where enterprises are pushed to redefine their work processes to align with the innovation in the areas of data management, automation, and cybersecurity, JW Software navigates them in the right course of action. “Our products are designed to address the predicaments of the insurance industry through advanced automation, user-defined custom business rules, data management processes, and customized screens,” says Nicholas Toal, VP of Business Development and Sales, JW Software. Apart from its state-of-the-art offerings, the company’s flexible and efficient services help it thrive in the claims management and processing vertical. JW Software has been utilizing standard templates for implementation processes, continuously updating its products, providing unlimited web-based and phone-based training, and leveraging its extensive knowledge in database structures and data relationships to develop trustable software solutions since its inception in 1989. 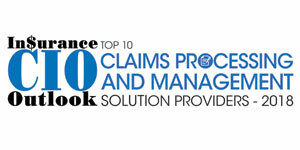 Leveraging decades of experience in all the areas of claims processing and management, JW has enhanced its long running flagship claim management software product, FileHandlerTM, in the form of ‘FileHandler EnterpriseTM,’ an HTML5 and CSS3 based intuitive claims administration platform, which has an extensive client-data and diverse functionalities. The easy-to-use, web-based platform comprises business intelligence tools and improved security features for claims entry, navigation, and accurate management of the claims processes. Boasting of features such as a live navigation pane, enhanced reporting, real-time dashboards, and claims search tools, FileHandler Enterprise allows clients to harness important information quickly, improve security for access to critical claims data, and maintain productivity uninterruptedly. To address the challenges in the industry, FileHandler Enterprise creates workflows to trigger specific, pre-determined actions in the system automatically. The application also integrates with the systems of third-party analytics firms to offer claims scoring, predictions, and statistical data. Besides, what makes FileHandler Enterprise a frontrunner in the industry is its built-in screen builder tool. While basic users can make simple changes, advanced users can completely customize their solutions for claims processing and management using the tool. Working alongside FileHandler Enterprise, JW Software’s PolicyHandler system is a software asset that adds robustness to policy administration for workers’ compensation. A web-based system, Policy Handler incorporates a wide range of embedded tools for data-driven ratings, quoting, direct and agency billing, automated renewal processes, and operational workflow— enhancing the performance of the worker’s compensation policy system. With its game-changing FileHandler Enterprise and PolicyHandler systems, JW Software has been developing comprehensive web-based software solutions for businesses to manage policies and insurance claims effectively. With the motive to grow the business of its clients substantially, the company undertakes the traditional engagement strategy of identifying the needs of clients first and then translating those needs into required solutions. “In a market filled with automated responses, call centers, and ticket systems, JW Software prides itself on providing an expert live support staff to address issues immediately. Our support staff are the people implementing and testing the system daily, so they are the specialists to solve any issue,” adds Toal. With the exponential growth in 2017, JW Software has doubled the size of its headquarters at St. Louis and has brought new talent into its development and IT departments. With increased strength, JW Software has lined up several projects, including enhancing the functionalities of FileHandler Enterprise and PolicyHandler system.